“I love honest music” The Monarques‘ guitarist Michael Slavin says “There’s no laptop, there’s no synthesizers, just a group of guys playing music and singing harmonies. Recording the instrumental takes in a room as a band and not doing a million overdubs.” The band’s latest offering – Let’s Make Love Come True is probably the most “honest” indie-pop record you have heard in a while. 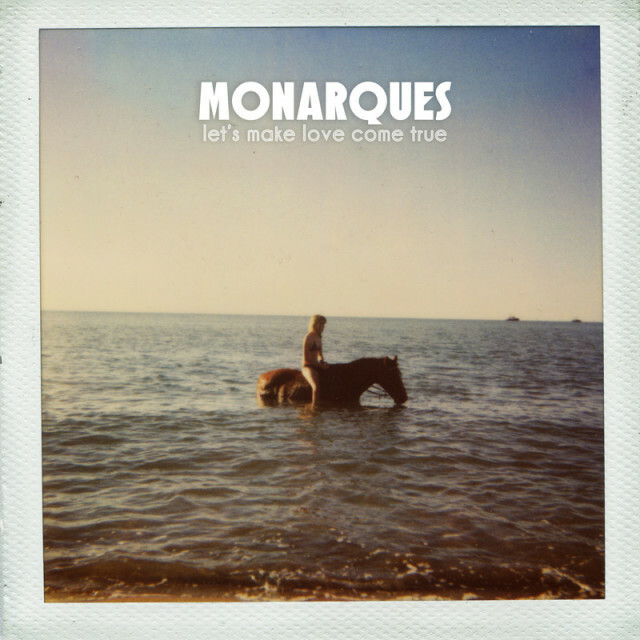 The Monarques take us back to the doo-wop influenced pop sound of the 60s which was brought to much popularity by groups like The Beach Boys. Bright playful guitars and vocal harmonies define the album sonically and the melodies often sound charmingly boyish. Contrasting the cheerful instrumentation, however, the lyrics aren’t as easygoing. Vocalist Josh Spacek sings as an adolescent, conflicted and nervous as he heads into full-fledged adulthood. “Can I be a good man, with the devil inside? Can I be a good man without you?” he asks on the catchy-as-hell Good Man, and the opener All Night Long is equally thoughtful. Let’s Make Love Come True is an enjoyable record in all, and may prove a little extra enjoyable to those who can relate with the struggles of growing up.